BC2A HQ is C2 turn-key solution that addresses operational needs for HQs from tactical up to joint echelons by offering a standardized set of collaborative core and interoperability features. 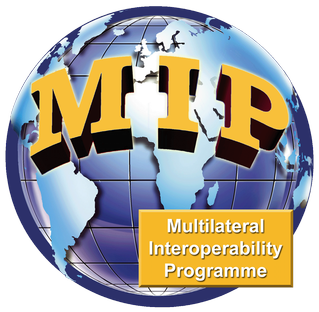 Data exchange with community MIP DEM (3.0/3.1) and other similar national systems. Friendly force tracks data exchange of own troops in the coalition joint operations for avoiding fratricide fire. Used in Mission Secret classified LAN/WAN networks. 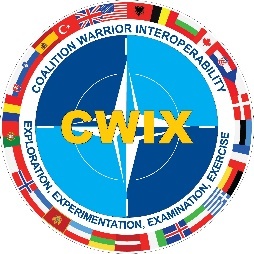 Supports situational awareness interoperability for all identified NATO mission types. Data exchange over LAN/WAN environment for interoperability based on MIP-DEM protocol according to MIP Block 3.0/3.1. Manages C2 electronic documents offering strong workflow features, highly secured access, searching capability, managing cross-hyperlinks and access documents. It is a webservice that concentrates information from different C2 sources for offering a single display of relevant information within a commander’s area of interest, tailored to the user’s requirements. Performs inventory management for equipment, materials, spare parts and accessories within an organization as well as monitoring of the maintenance operation of the equipment and solving incidents and failures. 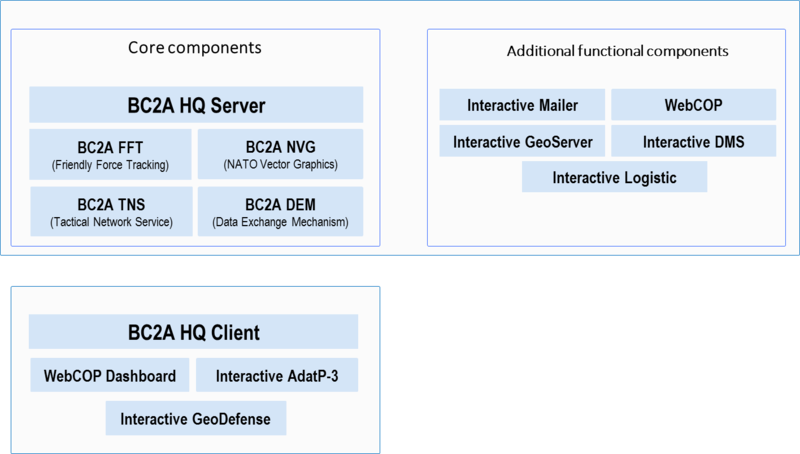 Webservice that provides military adopted geographic content publishing services (GIS) for Headquarters. Client component which represents the user interface to access the information from Headquarters’ central database, managed by the BC2A HQ server. Displays JCOP in a web browser application.